Where do the threshers go? I barely heard the fisher’s shout. The wind was quite strong and the noise from the small solar-engine in our wooden boat made it hard to hear anything clearly. Pak Mark Erdmann, our supervisor from Conservation International Asia Pacific, was here that day, along with Sarah Lewis my professional supervisor from the Manta Trust. Both were helping us with the trip we organized to tag thresher sharks in Alor, Indonesia, as part of our CLP project. 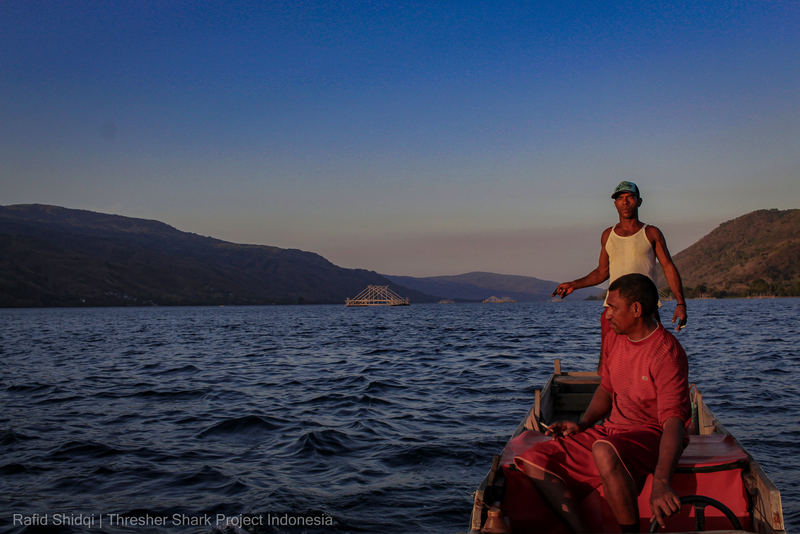 I gave signal to the other fisher, Bapak Sahlul, who rolled back his string with no catch, and headed to Bapak Tami’s boat. Bapak Tami was still moving his hands, up and up, as he tried to get the shark to shallower depths. Pak Mark and Sarah joined us in their boat. We were three boats moving in a circle, waiting to see if it was the shark we were looking for. Thresher sharks are listed as vulnerable from International Union for Conservation of Nature (IUCN). In Indonesia, they are become common catch within big tuna fisheries but the information about the species is very limited, especially regarding their habitat and movement for the conservation measures. 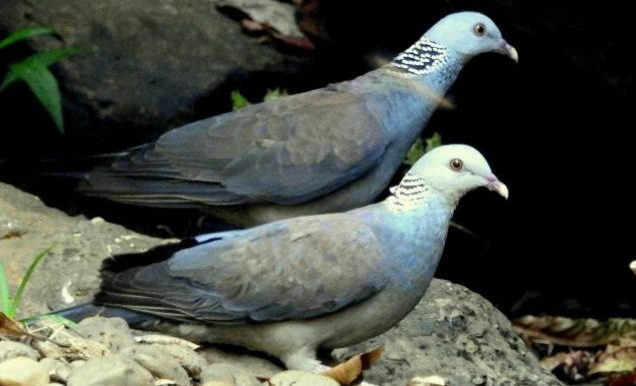 Their population has declined in Indonesia by more than 80% and it continues to decrease. 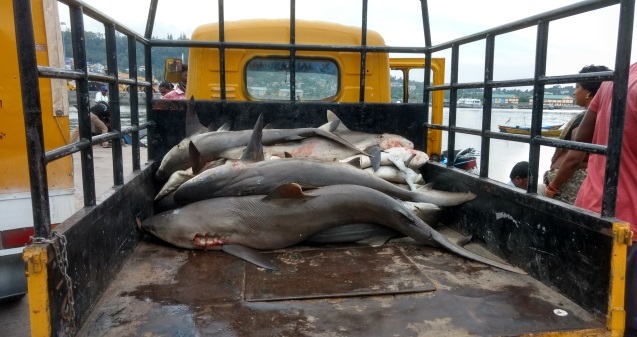 The Indonesian government is planning to improve the conservation management of this species and data from this project will help us make recommendations on how the thresher can be well-protected. I was feeling desperate to see a thresher. We had spent almost four hours under the scorching sun, sometimes without wind, waiting for the fisher to catch something. When someone shouted that a shark was caught, I almost exploded in joy! I couldn’t wait any longer to get into the water. After I filled the survey form, I grabbed my underwater camera and jumped. “Is it up now?” I asked Bapak Tami as he continued to pull up the lines. A few minutes later I put my head in the water and looked into the dark, deep sea. The rays of the sun faded as I traced the fishing lines with my eyes, deeper and deeper. I couldn’t believe what I saw in that moment; a long tail wiggled up and down. It was indeed a thresher shark! It seemed to be very exhausted after being pulled up from the depths and it moved sideways very slowly tried to disentangle itself from the strings that gripped its long tail. That’s how people in Alor catch the shark; they learned how to modify their fishing lines so they target thresher sharks specifically. People in Alor rely on this species as a source of livelihood, where meats of threshers consumed locally and distributed within local markets. Fishers join multiple hooks into one and tie colorful strings in each of the sides so the shape mimics that of its prey. The string color is not random. When a thresher shark is caught the day before, they cut the gut and find out what kind of food the shark had eaten. Black strings are to mimic small black anchovies, red to mimic squid and chicken feathers to mimic small mackerels. Fishers have to change the bait every day to match the shark’s desired meals. 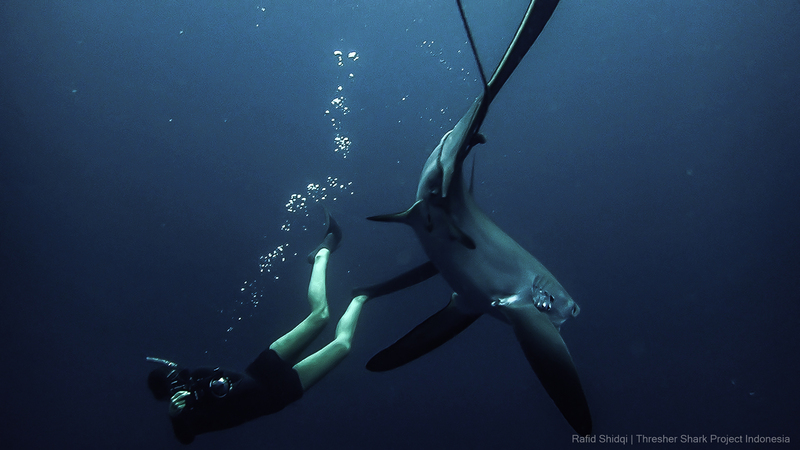 Thresher sharks use their long tail to stun fish before eating them. When the shark slaps the joined-hooks, its tail can become stuck, immobilizing the shark and making it difficult to fight back. Pak Mark prepared our satellite tag and the spear pole used to sink the dart into the shark’s musculature. Once the shark is tagged, we will be able trace its movements via satellite. Sarah and I were swimming in a circle, trying to catch good images and videos. Meanwhile, the fishers on the boat lifted the shark to the surface and tied the tail with a rope so we could take measurements. We waited a few minutes for the shark to recover before measuring its length. Afterwards, Pak Mark aimed the tag at the base of the dorsal fin where the satellite tag will be deployed. I was waiting very nervously with my camera. When the current started to change, waves began to rock the boat, setting all of us on edge. I saw bubbles and heard a short sound from the pole as the tag was transferred to the dorsal fin of the thresher. The shark showed little sign of being hurt when the tag was secured, aside from a little blood. It wasn’t long before the shark began to opened and closed its gills. Once stabilized, Pak Mark checked the response and untied the rope so it was able to swim back to the deep. It swam very slowly at first, but picked up speed as it descended out of sight. The sun had already set and the wind was picking up so we headed back to the village. I took a deep breath, relieved that we finally tagged the shark. We tagged the shark! Not only that, it was my first time to see a live thresher shark. And, this was our very first thresher shark to be satellite-tagged in Indonesia! I couldn’t hide my excitement! I can’t wait to see what data the tag will generate. Hopefully our work can help solve a little mystery about the shark: where are they going….? With this data we will be one step closer to recommendations that help could help conserve this amazing creature. 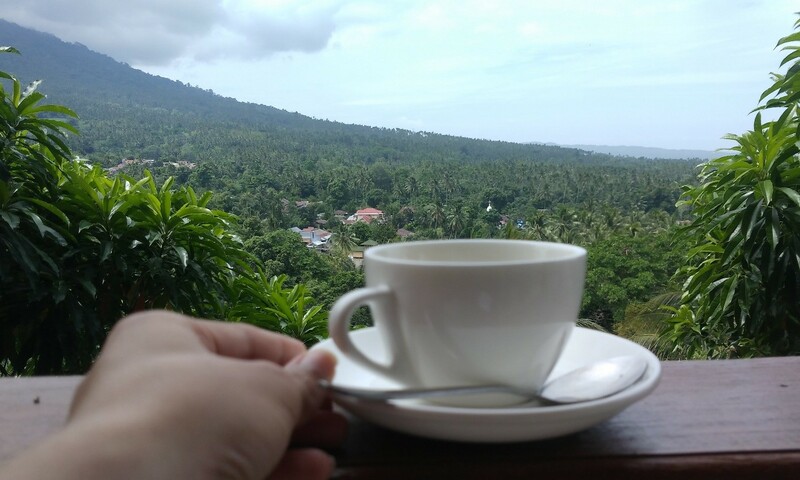 With my coffee mug, I stand on the balcony looking at deep coconut forests, and beyond the trees a wonderful beach. My desire! I feel like I am drinking in joy. I am filled with an overwhelming sense of peace and how lucky I am to be here. Meanwhile, I hear somebody calling “time is up guys!”. The scenery around is so striking that I feel like our 20-minute break passes in just a second. Okay, let’s go back. I want to tell you why I was here in wonderful Sulawesi, Indonesia. I was representing our Taxus team in the 2018 Conservation Management and Leadership training organised by the Conservation Leadership Programme. The training arrived quickly and before I knew it I was packing my bags and on a Malaysian Airlines flight from Nepal. This was my first international flight. I felt a bit excited and a bit nervous. When we were about to reach Jakarta, a fascinating view of small islands caught my attention and I realised I had reached the island country! I was travelling with Devendra, another CLP trainee from Nepal. We had three hours transit in Jakarta so I had plenty time to hover around. It was evening when we reached Manado and I felt all my energy drained from the journey. We were picked up at the airport by a wonderful lady, Charlotte, from the CLP staff. We drove through traditional villages to reach Botanica Nature Resort, the course venue. My first impression was of rustic simplicity. The room I shared with Janet and Van was homely and comfortable. The classroom was on a hill, a seven-minute hike up a steep road. It offered beautiful views of a beach. The breeze set the petals of flowers fluttering. It was a perfect training venue for conservationists. The course offered us different modules on leadership, project planning, gender and conservation, behaviour change, fundraising and monitoring and evaluation. The sessions were very effective, I must say. And, throughout the sessions there were four amazing faces from the CLP management team – Christina, Stu, Laura and Charlotte – who never got tired of motivating us. I got to explore my own leadership style with the help of Mo and I learned the value of stakeholder mapping and peer consultation. Over three days, Martin helped us build a logical framework using a giant blue sticky wall. The main message from the gender session was clear: effective conservation requires the participation of all. Sari showed us that information does not equal behaviour change. She helped us organise an event for our class, modelling what community engagement and material preparation should include. I have another new lesson from the fundraising session: fundraising is not about asking for money, but it is all about selling ideas. Besides these regular modules, our time was filled with group work, presentation sessions, field activities, culture nights and an alter-ego party. Our first field trip was the exploration of Tongkoko nature reserve. 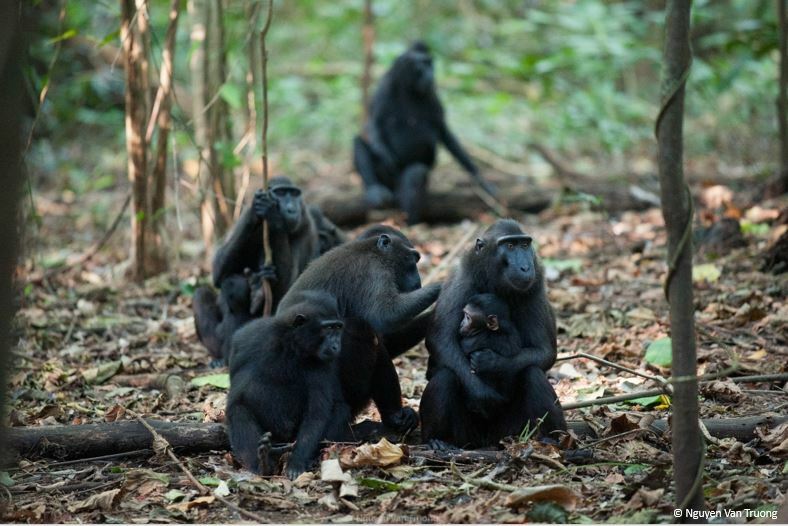 After walking for almost an hour, we encountered the black-crested macaques; one of them welcomed us with pee! It was fun watching them pose with us. Our next break was a morning trip to the beach. All of us were excited, but my level of excitement was a bit higher as it was my first time visiting the ocean. When we arrived I saw its beauty – the long sandy beach, the deep blue water. Being from a landlocked country, I guess anyone can imagine the level of excitement I felt at seeing the glistening blue sea for the first time. Another adventurous part of this training was our day trip. 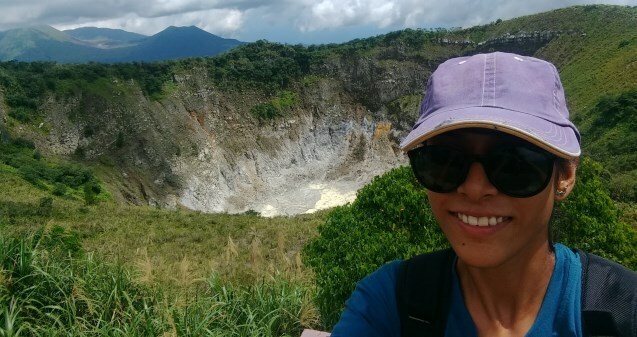 We started with a hike to see Mahawu crater. I was thrilled to see a volcanic mountain in front of my eyes, again for the first time! We walked through the cloud forest, which offered views of different orchid varieties and well-managed agricultural land. We stopped at a museum and saw the world’s largest playable trumpet! It took me some time to learn how to play it, but I did! Our last destination for the day was Lake Linow, a sulphurous lake. The scent of sulphur perfumed the air, and bursts of steam came from the deep blue water. This beautiful moment was accompanied by banana chips and sips of dark coffee. Thinking back on my time in Sulawesi, I remember all that I learned through sessions that kept us engaged and energised. This training allowed me to both reflect on conservation issues and also to identify innovative and effective ways to deal with them. I began to discover my own potential and was inspired to continue working for nature. I can still hear the group shout: “We are CLP, yeah yeah you and me!” I am so happy to be part of CLP and I’m grateful for the unique opportunity to participate in this workshop. The Conservation Leadership Programme appreciates the support of our donors whose investment has made this training possible: the Aage V. Jensen Charity Foundation, American Express, Arcadia – a charitable fund of Lisbet Rausing and Peter Baldwin, the British Birdwatching Fair, Fondation Segré Conservation Fund at FFI, and the Global Trees Campaign. 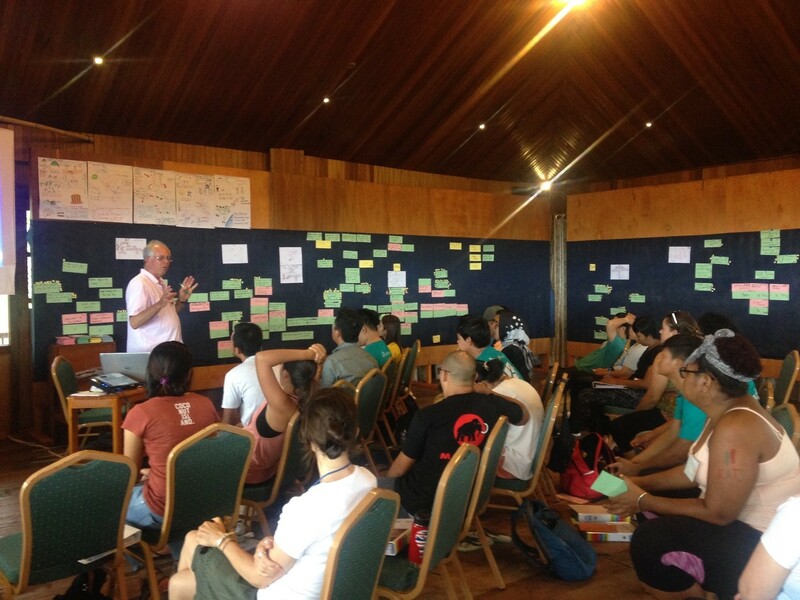 From December 11-14, 2017, the Wildlife Conservation Society and the Conservation Leadership Programme ran a four-day course “Building Leadership Capacity for Conservation.” Eighteen participants from Central America gathered for transformational personal and professional growth. Meet some our participants and learn about their course experience. This course was funded by a grant from the American Express Foundation to the Wildlife Conservation Society. Meet Lucero Vaca. 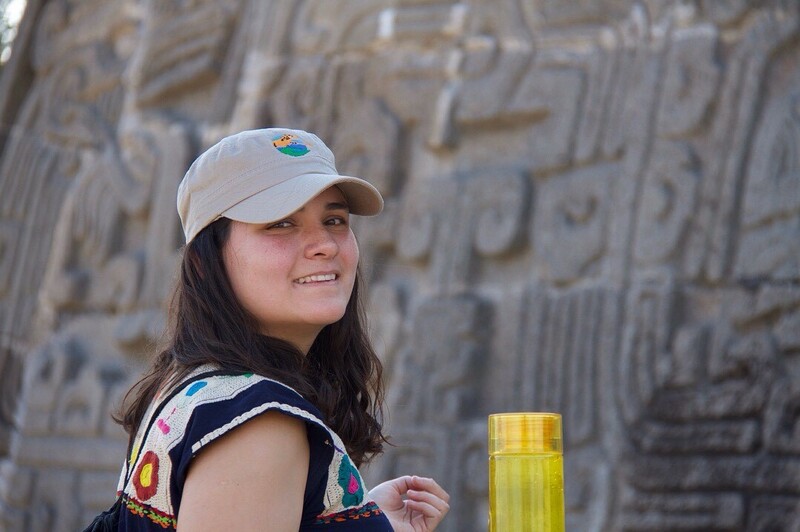 Lucero is a conservationist from Mexico who is dedicated to conserving jaguars. 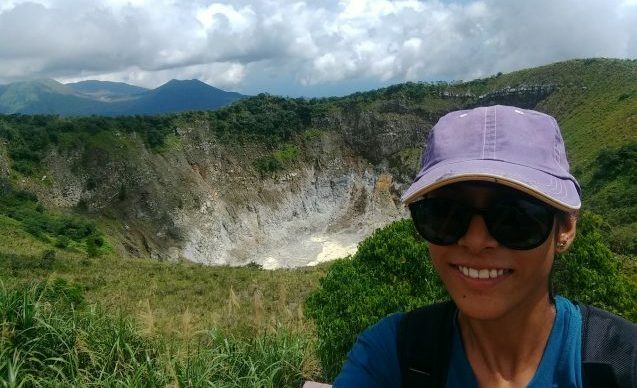 She is pursuing her PhD at the University of Oxford and is the Founder of the project “Jaguars on the Move” which aims to understand the behavior and physiology of jaguars. The scientific information collected will be incorporated into conservation practices within rural Mexican communities. “This course was a turning point for me both professionally and personally. Sometimes as a conservationist you can feel lost when it comes to leadership. The profession requires you to bring together a group of people and yet training is rarely available in how to do this, making it quite difficult to get results in a conservation project. This course helped me learn how to lead a team, how to bring out the best in each member, and how important it is to address interpersonal obstacles. 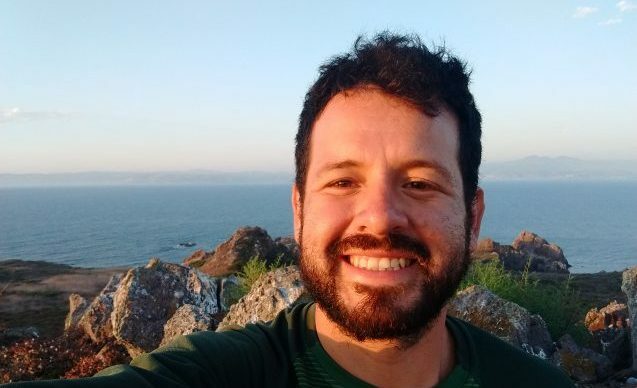 Meet Alejandro López Tamayo. 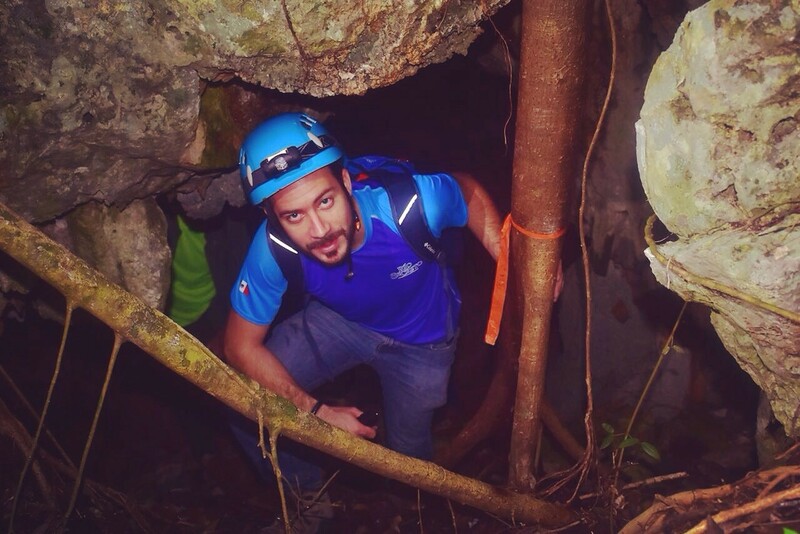 Alejandro is an Environmental Engineer with a specialization in groundwater. He is the Mayan Riviera Coordinator of Research, Conservation and Environmental Education at the Mexican organization Centinelas del Agua A.C. He is working to research and conserve the Quintana Roo aquifer. He is an alumnus of the MAR Leadership Program. “To work in conservation is a challenge. You have to face the government, the private sector, and other stakeholders to show them in the right way, and at the right moment, why biodiversity conservation is important, why ecosystems have economic value, and why we need to implement strategies to live in a sustainable world. I learned ways to do this during the course. For me, this course was a paradise of knowledge. All of the lessons and exercises were rewarding. I was impressed by the preparation of the trainers and the way they worked with participants. Meet Begoña Iñarritu Castro. 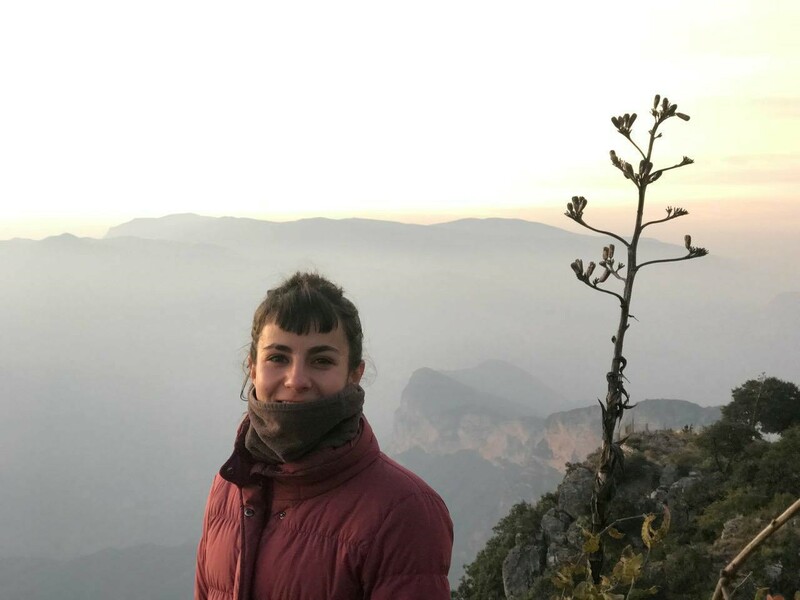 Begoña is a scientific advisor at the National Commission for Natural Protected Areas (CONAP) in Mexico. Among other things, she has a passion for bat conservation. She is a National Geographic Society grantee. “I still miss being part of the course. Since the beginning it was an amazing experience. Even though I live in Mexico City, I had never been to the Sierra Gorda in Querétaro where the course was held. The drive to the cabins where we stayed was wonderful, full of complex curves and mountains! We had a great experience together. The course offered a complete program that was different from most other courses. This was not a class where participants sit for four days and take notes. The workshop was dynamic. 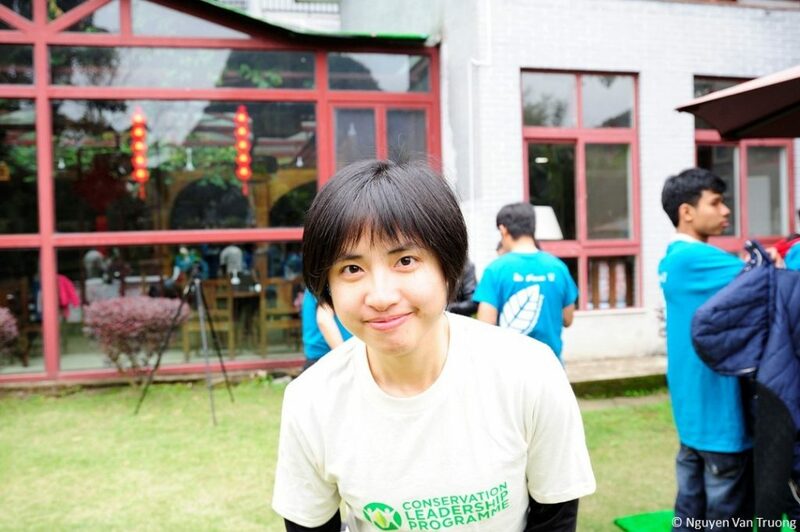 By listening and sharing experience with others, we acquired leadership skills for conservation. One of the things I found most useful for my daily life was to discover which type of leader I am. It was wonderful to reflect on my strengths and how to use them while working on a project. Also I came to understand how useful it is to be aware of other’s styles. We need to appreciate our differences to work together effectively. I am very grateful to have met this group of people. The environment was constructive, healthy, and binding. I really felt we were in an honest and friendly atmosphere where my mates —at first strangers— showed me how strong-minded and unique I am. Sometimes I feel vulnerable and insecure. Other times I suffer from the impostor syndrome. But during this week I realized I am not the only one and that in the end these are thoughts that we create ourselves; these thoughts are not reality. I am also very grateful for the lovely and prepared facilitators and for the advice I received from my peers on this course. 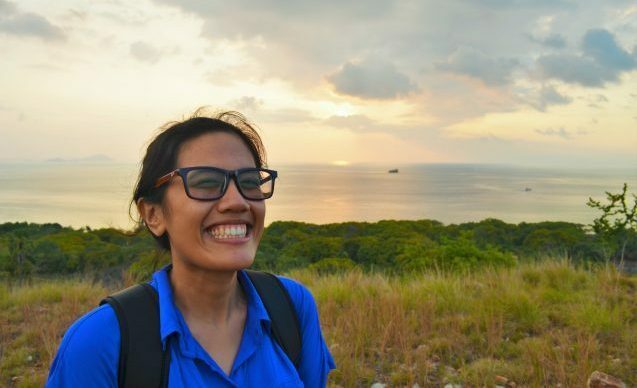 Zoya Irshad Tyabji, 2017 CLP award winner, shares some of her memories of the training course that she recently attended, including the unforgettable moment when she came face to face with a live shark. Just a few months have passed since we received the news of winning the Future Conservationist Award from the Conservation Leadership Programme (CLP). A few months is a short time, but for us those months were packed! 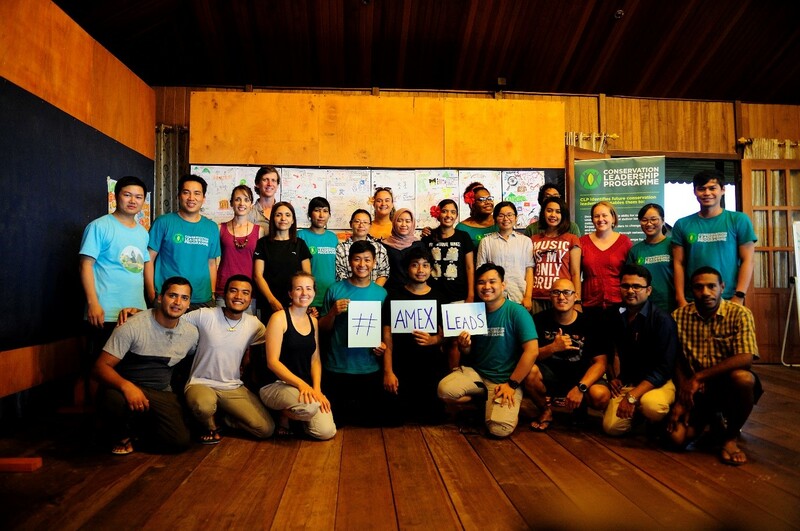 In July, I had the opportunity to represent my team at the CLP training held in Indonesia. 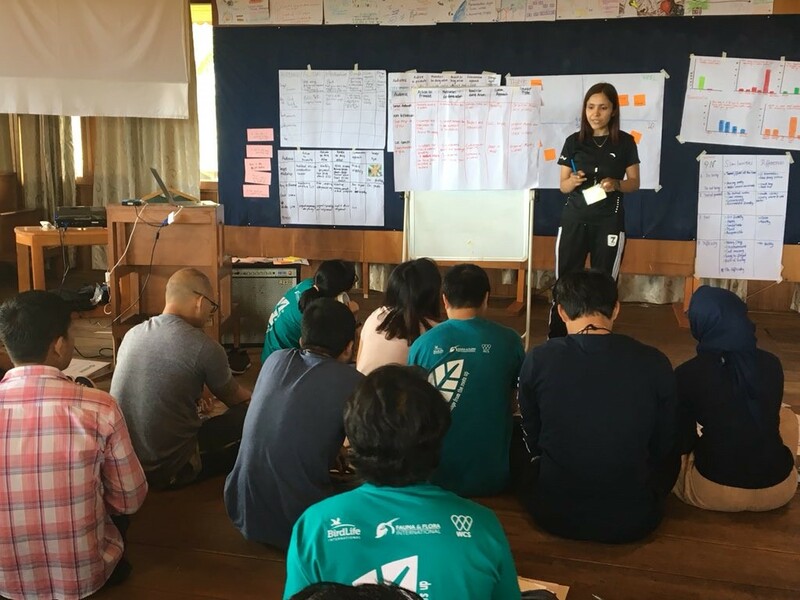 During the workshop, we had sessions where various modules were covered – leadership skills, project planning, behaviour change and communication, and gender and equality. These modules were held unconventionally with activities, ice-breakers and interactions that honed and developed skills both personally and professionally. As a result, I am more confident, aware and motivated, and I definitely took away more than I came with. I will also be implementing most of what we have learnt in order to take our work forward. Additionally, it was inspiring for me to spend time networking, sharing ideas and listening to the experiences of like-minded people, coming from different places in the world and facing difficult issues – some the same and some different, be it development, management or pollution. I am thankful for the CLP facilitators – Stu, Christina, Laura and Charlotte – who made it comfortable for us and encouraged us every step of the way, to share and be ourselves so that we could take the best from this experience. I am also thankful to the rest of the CLP participants – now alumni and my friends for a lifetime, who have all contributed tremendously to my personal and professional growth and memories during the workshop. After the CLP training, I got an opportunity to visit Bunaken, a marine national park in Indonesia. Growing up in India, experiences like these are far-removed from everyday life and I have only experienced them while watching the overly dramatic Bollywood films, so I cannot thank CLP enough for giving me this opportunity to star in my own movie. While scuba-diving at Bunaken, we were suspended in the blue, awestruck by the psychedelic colours that the reef threw at us – I was imagining how my friends and colleagues would conduct fish transects here, as the diversity and abundance was baffling. And then, by chance, I happened to look down into the unending depths – and saw something cut through the water gracefully with its white flank and black tips. It was a blacktip reef shark and my first live shark ever! After sampling over a thousand dead sharks harvested by fishermen at fish-landing sites (which is what my work entails), I had seen my first live shark underwater! The shark was a contrast to the reef in its simplicity of colours and conveyed power and grace as only an apex predator and a keystone species. The moment was a fleeting one, but powerful enough to motivate me to get back to sampling dead sharks in the Andamans in the hope that I can make a difference and enjoy sightings like this one in future during the course of my work there. Apart from the CLP training and grant, being a CLP alumna and joining the CLP network has opened up tremendous opportunities for my team and me. I recently attended a statistics workshop held by the CLP alumni network of India in Bangalore. Apart from learning statistics, I met other alumni and we discussed past experiences, dealing with multidisciplinary conservation issues, growing as a team and taking away memories. My team members interacted with other CLP alumni from India during the CLP meeting at SCCS Bangalore, in turn developing a good network of conservationists. One of our guides is a CLP alumnus who has provided advice not only with developing our CLP proposal but also for other projects. Networking and collaboration form an important part in any conservation-oriented field and we thank CLP for bringing us all together in order to achieve this efficiently, fruitfully and with a fun-filled journey. Zoya’s CLP Future Conservationist Award and participation at CLP’s Conservation Management & Leadership training course was made possible thanks to the generous support of Arcadia – a charitable fund of Lisbet Rausing and Peter Baldwin. People of the indigenous community ‘Mahadeo Koli’ have lived within the Bhimashankar Wildlife Sanctuary (BWLS) for hundreds of years. They have rich traditional knowledge and rely on the land and forests for food and income. As an Important Bird Area in the northern Western Ghats of India, the sanctuary is also home to abundant biodiversity including hundreds of endemic plants, birds and mammals. In recent years, pressure has been increasing both on the local people and on the local biodiversity. When the sanctuary was established in 1985, shifting cultivation became illegal. Shifting cultivation is a practice where an area of land is clear-cut and farmed until the land is no longer fertile. At that stage, a new area is cleared and farming shifts while the first plot is naturally restored. If not managed properly, the practice has negative consequences for conservation: key habitat can be lost and species suffer. In addition, BWLS is a famous pilgrim destination. Every year, over 500,000 tourists from all over India visit the sanctuary. These pilgrimages put additional pressure on the forests. Communities that were dependent on harvests from shifting agriculture became economically vulnerable. For the younger generation, job options can be further limited due to lack of education. As a result, many young people migrate to nearby urban areas to seek employment. 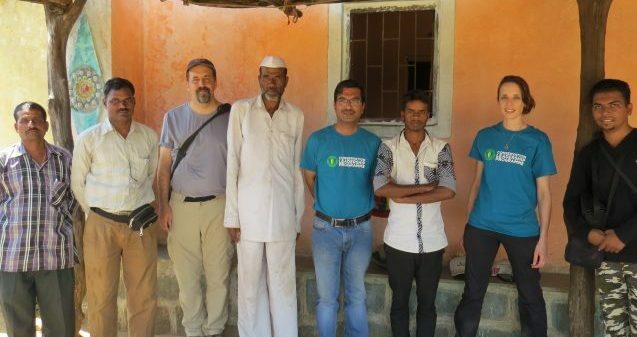 Since 2007, a team of four people working for the Applied Environmental Research Foundation (AERF), with many other partners (the S. P. Jain Institute for Management Research, Durrell Institute for Conservation and Ecology (DICE) and Credit Suisse volunteers), have developed new approaches to balance the needs of communities with conservation in Bhimashankar Wildlife Sanctuary. Having won all three awards from CLP (2007, 2009, 2016) the team has used its training and funding to develop and implement an innovative strategy that helps conserve wildlife and provides economic benefits to vulnerable indigenous community members. This strategy involves asking community members to be part of a Conservation Agreement. By signing an agreement, communities gain access to alternative livelihood opportunities. In return, community members agree to let their land regenerate and to use resources from it in such a way that sustains, rather than degrades, the forest. An example of this occurred in early 2017 when the CLP team proposed a Conservation Agreement to Mr Devram Sagaji Lohokare (age 65) and his family, who had lost the right to practise shifting cultivation on their land in the sanctuary and were searching for a new livelihood. The CLP team had already undertaken a detailed biodiversity survey of the forest with a focus on the presence of endemic birds. Part of this area included Mr Lohokare’s land. The team sighted 46 bird species during the survey, four of which were endemic – the white-cheeked barbet, white-bellied blue flycatcher, crimson-backed sunbird and Nilgiri wood pigeon. They found evidence of other important wildlife in the forest, too, including several nesting sites of the Indian giant squirrel and natural beehives. Most importantly, the forest has a water body used by many species. Having discovered that the land was vital for so many species, the CLP team approached Mr Lohokare and his family to consult with them about the prospect of entering into a Conservation Agreement. During the conversation, the CLP team learned that one of the family members, Tanaji Dhondu Lohokare, was looking for employment. The family was also in need of some vital household utensils. Under the terms of the Conservation Agreement, in return for letting his land regenerate, the team was able to assist Mr. Lohokare and his family with their needs. The CLP team agreed to help train Tanaji Lohokare in conservation and ecotourism and thereby assist him with finding employment. 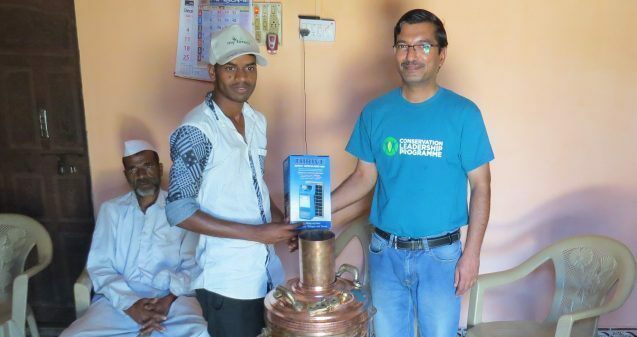 They also agreed to provide the family with much needed utensils including a household stove-heater and solar-powered battery chargers. The agreement was prepared in the local language so that everyone would be able to understand it, and so that Mr Lohokare could help spread the message to others about this approach. In March 2017, Laura Owens, a CLP staff member based at Fauna & Flora International, visited BWLS. She watched as this agreement was signed. She reflects: “I enjoyed seeing the beautiful bird species already flourishing there and saw first-hand how the land is already starting to regenerate into a good secondary forest.” Through this Conservation Agreement, the CLP team has ensured the conservation of 57 acres of community forest for the next ten years. The team is slowly setting up and entering into new agreements with other community members to create a system that benefits both people and wildlife. To date, 100 acres of land have been protected by seven agreements. As a separate but related initiative, the CLP team, in collaboration with AERF and DICE, set up an international certification scheme called FAIRWILD in 2015. Local community members who follow certain practices to protect biodiversity achieve the certification and can thereby sell non-timber forest products for a price that is about 70% greater than for non-certified products. Together with the Conservation Agreements, this certification scheme will continue to improve income opportunities for local families going forward. I had the pleasure of managing the Conservation Leadership Programme’s (CLP) 2017 Conservation Management & Leadership Workshop in Sulawesi, Indonesia from June 28 – July 13. This training course brought together 21 rising conservation leaders who, throughout two weeks, gained not only practical skills and knowledge, but an increase in confidence, motivation, and an awareness of their strengths as leaders in this field. Allow me to introduce you to a few of our rising leaders who use their strengths to inspire change from the roots up. Meeting them has certainly inspired me! “I bring commitment and focus to my work. These strengths allow me to be diligent and pursue my goals, especially in difficult situations when the odds are against me. The CLP training course helped in both my personal and professional growth. I became more confident, aware and appreciative. 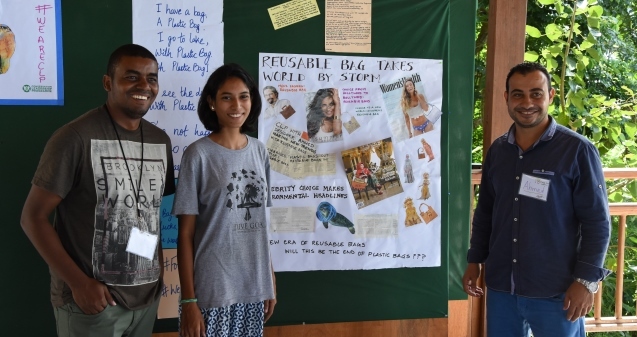 I also gained valuable knowledge about leadership styles, project planning, stakeholder engagement, and behavior change which will help in the current project and future endeavors.” Zoya is part of the 2017 CLP project “Assessing the status of threatened elasmobranchs in the Andamans, India,” funded by Arcadia – a charitable fund of Lisbet Rausing and Peter Baldwin. “Two of my leadership strengths are self-motivation and the ability to work as a team player. These qualities allow me to motivate other project members to achieve the best results we can. I appreciated the CLP training course because it gave me the opportunity to identify my strengths and share them with the group. 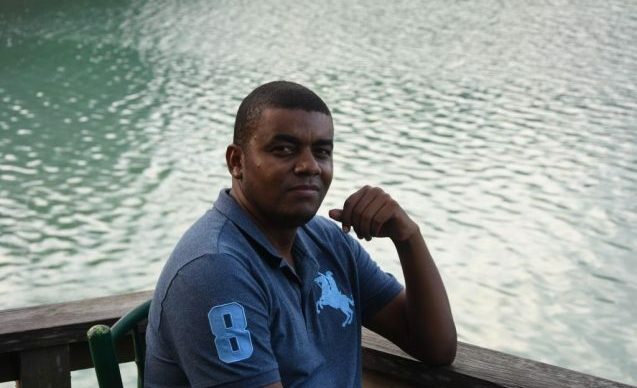 The training provided tools that helped me become a better leader, for example by understanding the unique strengths of each person on the team and the value of using these strengths to improve the project.” Abdulrahman is part of the 2017 CLP project “Conservation assessment of Arabian dragon tree (Dracaena serrulata) in Oman,” funded by the Global Trees Campaign. The Conservation Leadership Programme is a partnership of three non-government organizations including the Wildlife Conservation Society, Fauna & Flora International, and BirdLife International. Drawing upon the expertise of conservation professionals from across the globe, CLP directs project funding and training to early career leaders from developing countries who are tackling priority conservation challenges. Over more than 30 years, CLP has provided important career stepping stones to over 2,600 individuals who now form an extensive global network of conservation practitioners. We appreciate the support of our donors whose investment has made this training possible. Our donors include: BP plc, American Express Foundation, Arcadia – a charitable fund of Lisbet Rausing and Peter Baldwin, the Global Trees Campaign, and the British Birdfair. Asian vultures have undergone a catastrophic decline in recent decades, with populations crashing by as much as 99%. In India and Nepal, four of nine vulture species are Critically Endangered, largely as a result of poisoning by a drug commonly used to treat livestock, diclofenac. 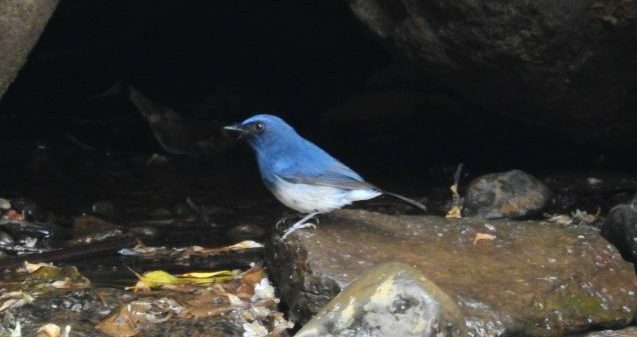 The Conservation Leadership Programme (CLP) funded projects in both Nepal, in 2010 and 2013, and India, in 2016, to improve the outlook for these overlooked species. 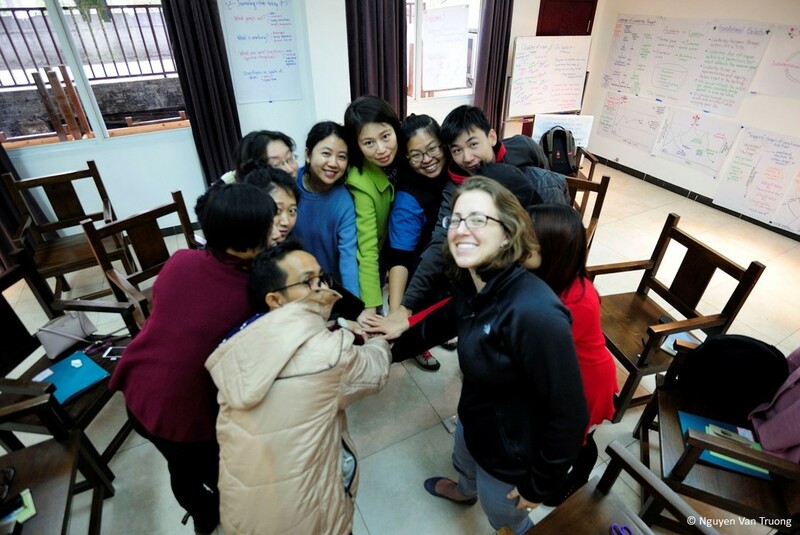 In March this year, a CLP Learning Exchange brought a project team member from each country together to share their knowledge. Khima Nand Balodi, who led a project to assess the population status and threats facing vultures in Uttarakhand, India, in 2016, visited Bhupal Nepali, who was part of a team working to strengthen Vulture Safe Zones in Nawalparasi, in 2010, and to enhance community-based conservation in western Nepal in 2013. Here, Khima shares his Learning Exchange experiences. As part of my CLP’s Future Conservationist Award my team and I have been conducting field surveys to assess the population status of several vulture species. We have also been trying to fully understand what is threatening vultures in the lowland of Uttarakhand state, which is a potential site for a Vulture Safe Zone (VSZ). I’m interested in this work because vultures play a crucial role within ecosystems, by eating carrion and helping prevent the spread of disease. But they also suffer from being maligned and misunderstood, which has hindered their survival. 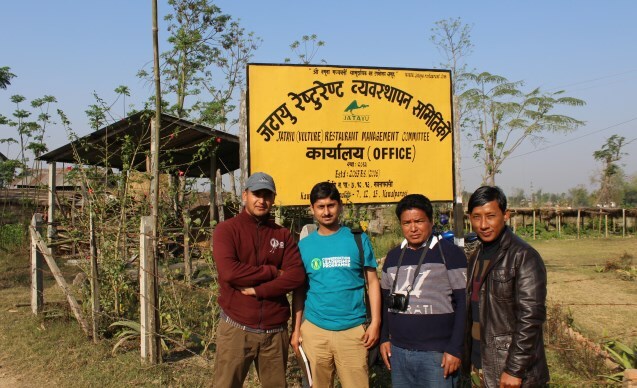 I spent my first few days in Nepal learning about the work being done by Bird Conservation Nepal (BCN), with Krishna Bhusal in Kathmandu. 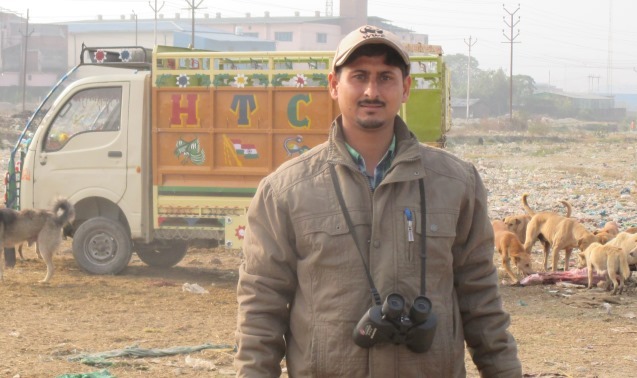 Krishna was also part of the 2013 CLP project team alongside Bhupal Nepali, and is now BCN’s Vulture Conservation Program Officer. 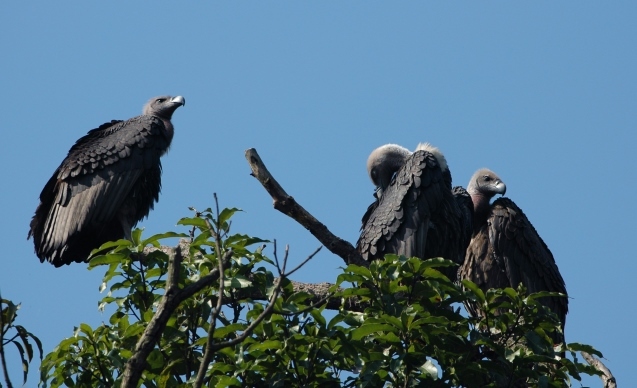 Nepal has initiated successful in-situ vulture conservation interventions, such as community-managed Vulture Safe Zones, and the declaration of Diclofenac Free Districts, both of which emphasise the importance of cooperation between multiple stakeholders. We discussed the work we’re involved with in our respective countries, including my ongoing CLP project, and came up with a plan for the rest of the trip so I could learn as much as possible about what’s been effective in Nepal. I then headed west to Butwal to join Bhupal, who had arranged for us to meet with lots of different people and organisations over the next few days. We met with para-vet associations, and with government officials from the veterinary and forestry departments, who are concerned about vulture conservation. We spoke with community forestry associations about their role in monitoring nests and raising awareness, and with vulture restaurant (special sites where carcasses are left out to feed vultures) management committees about their work in ensuring safe food is available. We met district livestock service officers and pharmacists to discuss the use of diclofenac and alternative drugs, and also held discussions about transboundary issues relating to drug use and monitoring in cases where safe zones span the India-Nepal border. Everyone shared a lot of information with me and I found it all very useful. We also visited three safe feeding sites — in Gaindatel, Pithauli and Dhachuk — to observe how these were managed, and a municipal waste site to see how this was run and which species could be found there. Finally, we visited two nesting colonies of the Critically Endangered white-rumped vulture, where we were able to see chicks in the nest. The Learning Exchange was also useful in deepening my understanding of Nepal’s cultural heritage — for example, we visited Lumbini, the birth place of Buddha — and its close linkages with India. I also gained insight into the potential for using the religious and philosophical connections that vultures have in South Asia in their conservation. The field visits, and the interactions with different stakeholders, gave me lots of ideas to take back to India, and to use in the advocacy, education and outreach plan I’m developing for Uttarakhand. I ended my trip in Kathmandu, working on that plan from the BCN office, and I’m putting it into action now that I’m back in India. I’m also in the process of organising a meeting about transboundary vulture conservation, to share and discuss these issues further with state institutions in both countries, and working on an action plan for vulture conservation in Uttarakhand state which can be incorporated into the Vulture Conservation Action Plan of India. I am very thankful to CLP for supporting this excellent experience, and for the opportunity to develop a collaboration with BCN team members. Since returning to India, I have continued with our project work in Uttarakhand. We have collected 100 tissue samples from livestock to assess the use of diclofenac, and we have also recorded very small, scattered populations of two Critically Endangered species, the white-rumped vulture and the red-headed vulture, in Uttarakhand state. 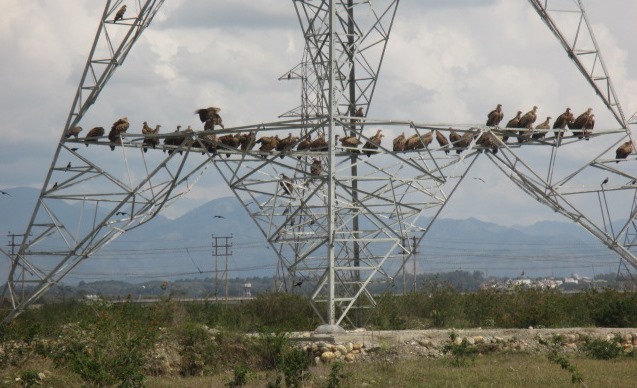 But electrocution risk seems to be the major existing threat to these vultures, as we recorded more than 100 dead electrocuted birds, including vultures and steppe eagles, at various carcass dumping sites. These are often situated close to transmission lines, making collisions likely, so we are working to shift all unsafe sites to safer locations. We have also conducted several meetings with various stakeholders in the state and have organised 15 awareness camps in various districts of Uttarakhand, as per the plan prepared during the learning exchange. To celebrate International Vulture Awareness Day 2017, we are conducting around 20 events in different locations through local NGOs, schools, volunteers and our Vulture Mitra (Friends of the Vulture) initiative. Thanks to Claire Salisbury for support preparing this blog. Images © Khima Nand Balodi unless otherwise indicated. From March 10-14, 2017 the Conservation Leadership Programme (CLP) ran a leadership training course for conservationists in Asia. We gathered in the misty, karst peaks of Yangshuo, China. 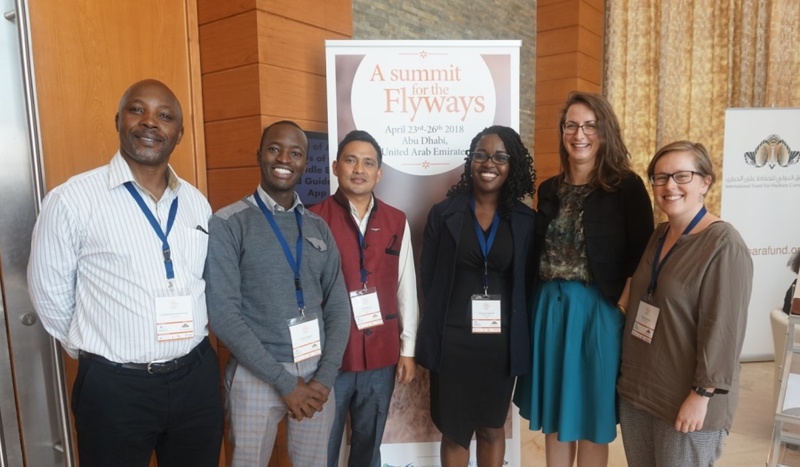 Twenty-two participants from the Wildlife Conservation Society, BirdLife International, Fauna & Flora International, National Geographic Society, and the CLP alumni network contributed valuable experience and left with a set of tools to take more leadership action for conservation. Participants also went home with a stronger network of conservation peers. 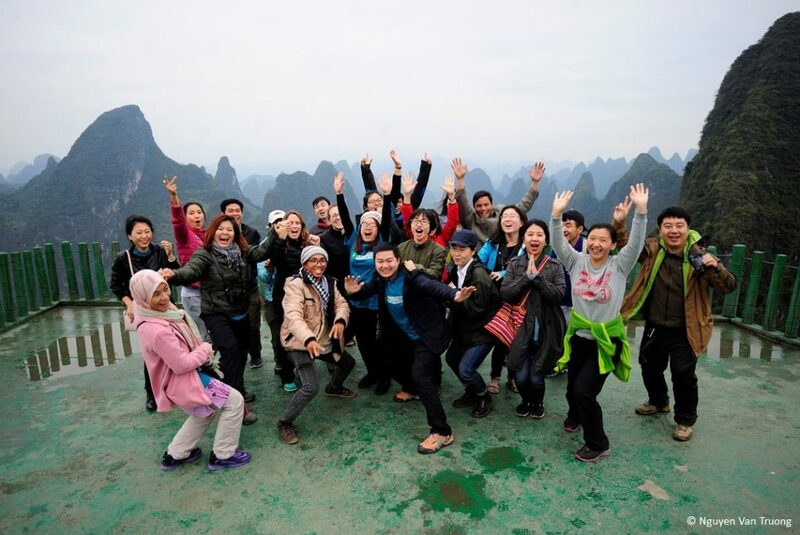 Read this blog by participant Huang Qiaowen for a taste of her experience in Yangshuo. How time flies! 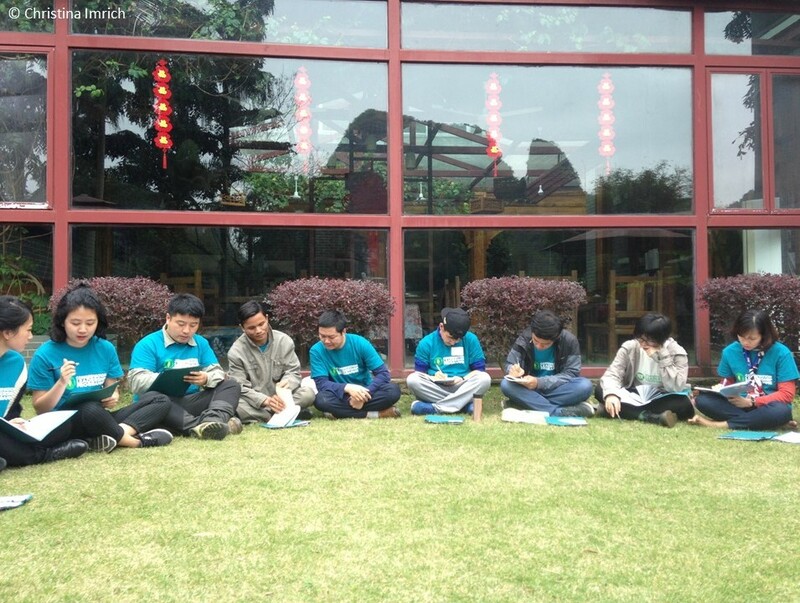 Since our departure from the CLP leadership course in Yangshuo two months ago, we have gone back to our daily lives. I have returned to my fieldwork, fund-raising and communications responsibilities, and everything seems normal. But deep in my mind, something has changed as a result of my experience with CLP. I can still remember the days we spent together. To wake up awareness of ourselves on the first day, Mo, the lead facilitator, asked us to answer two questions: “How do you feel today?” and “What are you looking forward to today?” It happened to be my 30th birthday. Red-whiskered bulbuls were singing outside, unfamiliar classmates sat around me, and I felt that it was a fresh and meaningful start for me. I have been a conservationist with the Chinese Felid Conservation Alliance (CFCA) since April 2016, taking charge of communication and funding work. As a fresh bird in this field, I used to be unsure of myself, and question whether I was qualified enough to be a good leader. Could I be a good leader after the course? There are thousands of good leaders out there, but everyone has their own leadership style. Mo is such a wonderful tutor with good methods and an inspiring character. Before illustrating these interesting ideas, she would raise questions first. On the very first day, she asked us to carry out a Q&A process in pairs. Mo led us through another exercise to help us think about our personal leadership style. Before the course, I didn’t think there was more than one kind of leadership style. As an introduction, we were asked to list qualities of a good leader. We quickly came to see that the ideal leader looks different to each person. Our imagination quickly covered an A3 sheet of paper with traits like: gives direction, well-organised, encouraging, idea generator, healthy, responsible, understanding, resourceful, influential, etc. Without doubt, these qualities couldn’t all be found in one person. So, what kind of qualities does each of us have? What kind of potential leadership style are we striving for? Mo asked us a series of questions that allowed us to align ourselves with one of four leadership styles: driver, analyst/architect, relationship master and spontaneous motivator. What the exercise explained was such a relief to me. I can be a good leader by being myself – there are strengths to my personal style and I can adapt and grow by trying different styles. We used this tool to think about the strengths and weakness in our teams. It helped us think of more constructive ways to work together. Instead of selling us the theory, Mo always encouraged us to explore answers based on our experiences, to search for our own strengths. Sometimes in class, I would feel myself grow, like a small tree with stronger roots. Through this exercise, and others, I have come to appreciate that I can always be inspired by others’ thoughts and suggestions. The magic power of this programme came not only from Mo, but from the sharing and mutual learning process among all the participants. Environmental protection is a complicated mission. All participants are facing similar problems about development direction, relationship management, as well as funding issues. Our common challenges and goals made sharing experiences so useful for all of us on the course. Thank you Mo and Christina, and all of my classmates. I am 100% sure that was a perfect start for the rest of my life after 30. Maureen ‘Mo’ Ryan of Conservation Science Partners was the lead instructor on the course. Facilitation and logistical support was provided by Christina Imrich, WCS staff. This course was made possible thanks to the generous support of the American Express Foundation. Who wants to read about workshops, training, and the minutiae of how to plan and fund a conservation project? In the eyes of the uninitiated, the interest value of subjects like that is up there with watching grass grow. And yet, they represent the nuts and bolts of conservation, without which there would be far fewer people out there equipped to help safeguard those very species that tend to pique the interest of the typical wildlife enthusiast. Capacity building may not be at the glamorous end of the conservation spectrum, but try telling that to the participants of the three consecutive annual workshops on project planning and fundraising that the Conservation Leadership Programme (CLP) has co-led with Fauna & Flora International (FFI). 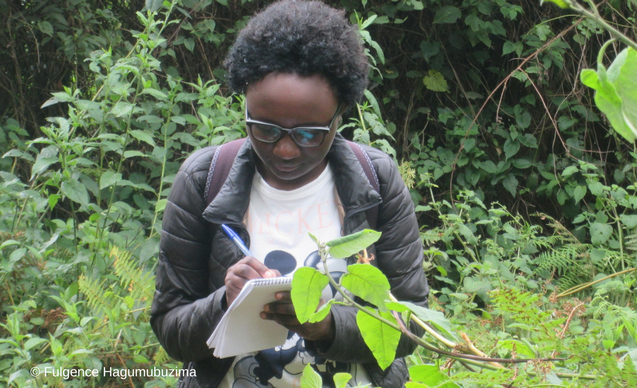 Funded by the Critical Ecosystem Partnership Fund (CEPF), this trio of workshops was aimed at early-career conservationists working, or planning to work, in Key Biodiversity Areas across the so-called Eastern Afromontane Hotspot. Held respectively in Ethiopia, Mozambique and Rwanda from 2014 to 2016, these five-day intensive programmes have been instrumental in transforming the career prospects of participants from a dozen countries across Africa and had a demonstrable impact on their ability to generate additional funding for their vital work. 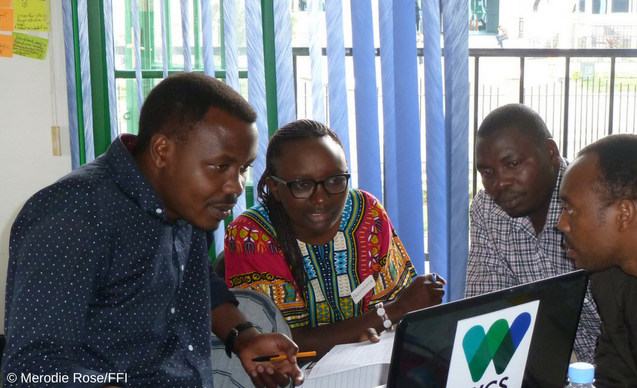 The training provided a unique opportunity for aspiring conservation leaders to come face to face to discuss their research, meet and ‘sell’ their projects to real donors, and provide each other with new perspectives on how to tackle the challenges they routinely encounter. The outcomes for conservation are tangible, bringing in funding where it is most urgently needed and thereby enabling high-priority conservation projects to be delivered. 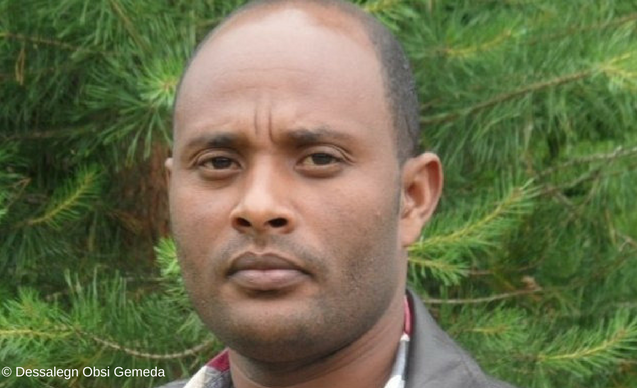 Dessalegn Obsi Gemeda, head of the Department of Natural Resource Management at Jimma University College of Agriculture and Veterinary Medicine, participated in the 2014 Ethiopia workshop. The opportunity to network with other conservation working groups has since proved invaluable, particularly for peer review of proposals before submission. He subsequently used the skills and knowledge he acquired at the workshop to apply for funding from Rufford Small Grants for Nature Conservation. 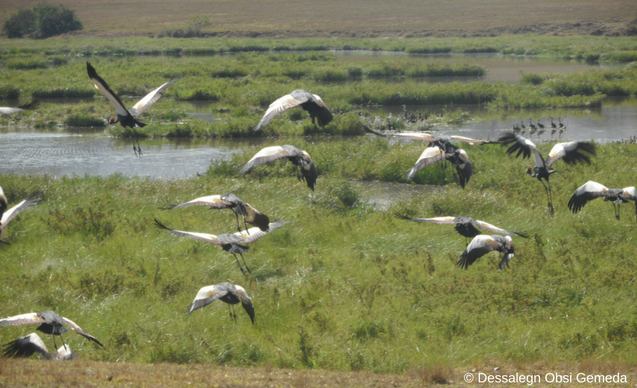 In February 2015 Rufford approved his application for a project entitled Enhancing the Conservation of the Vulnerable Black Crowned Crane in Limu Districts of Jimma Zone. The Case of Ethiopia. The following year, Rufford was sufficiently impressed with the results to approve a follow-up project on the same species. 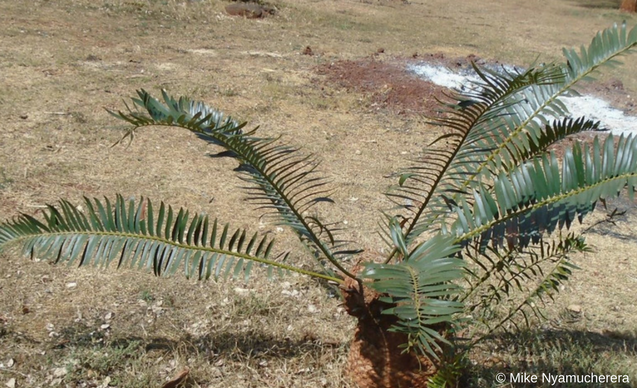 As its name implies, Encephalartos chimanimaniensis is mainly confined to the Chimanimani Mountains on the border between Zimbabwe and Mozambique, though it also occurs in the adjacent Chipinge Highlands. In an effort to gain a better understanding of its distribution, abundance and long-term survival prospects, Mike is undertaking a comprehensive survey of the Chimanimani cycad’s population status, and has succeeded in raising almost £5,000 from the Rufford Small Grants programme in support of this work. 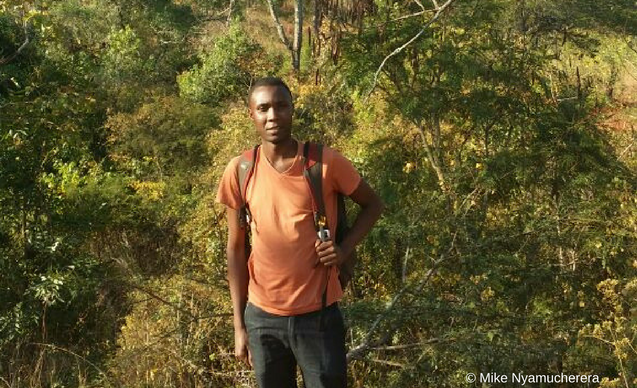 Providence Akayezu, a lecturer at Kitabi College of Conservation and Environmental Management in Rwanda, was a participant in the most recent workshop in October 2016: ‘’It was great to sharpen my skills in developing a smart project proposal, and find out more about project development phases and activities, and searching and staying in touch with a warm donor.’’ Following the workshop, Providence has continually networked with fellow participants and with FFI staff in order gain access to more funding opportunities. She has also delivered a wildlife management course to around 100 hundred students at her college. 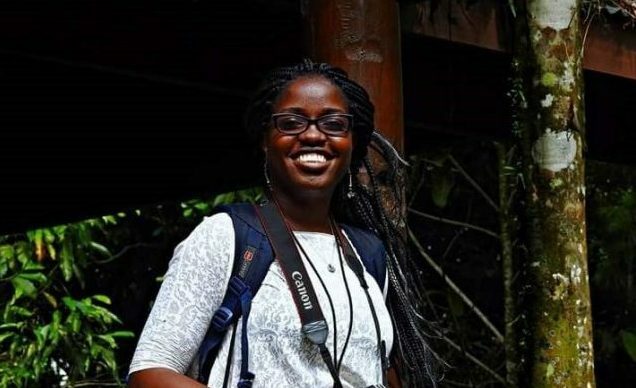 She is now in a position to submit a project proposal to National Geographic Society that aims to evaluate the impact of the revenue sharing programme on people’s livelihoods around Rwanda’s Nyungwe National Park. We wish her every success. 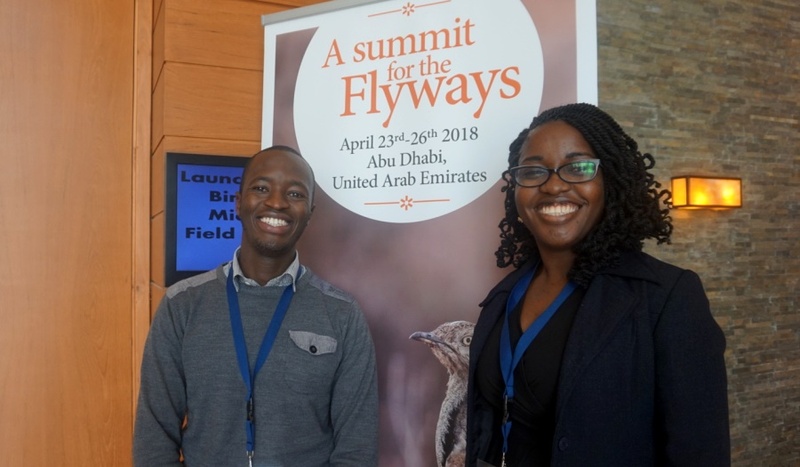 With every passing year, the network has grown wider and stronger, enabling more and more early-career conservationists like Providence, Mike and Dessalegn to compare notes on the tools of their trade, share best practice and generate vital funding for their work. Try asking them whether workshops are interesting!